The preparation of and participation in the Sacrament of Reconciliation is an exciting time for our second graders. During this time, the students celebrate forgiveness and God's mercy, and the significance of how we forgive our family, friends and members of the community. First Reconciliation will be celebrated on November 17, 2018. 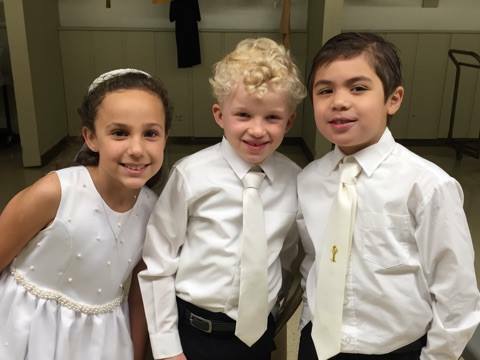 The preparation of and participation in the Sacrament of First Communion is a time to receive Jesus for the first time. It is an opportunity to accept Jesus, the Catholic faith, and the Holy Family. 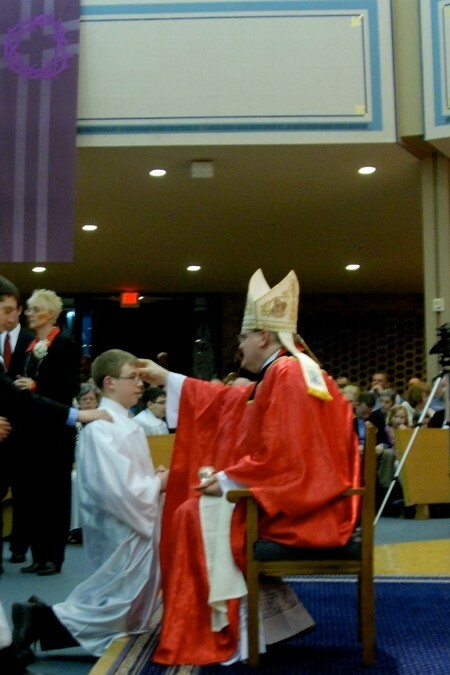 First Communion will be celebrated on May 18, 2019. CHOOSE A SPONSOR – He/She will be your earthly cheerleader: must be a practicing Catholic, already confirmed, age 16 or over. Give the Sponsor Form to your sponsor. They need to complete it and have their pastor sign it. KNOW THE DOCTRINE. Review doctrine and prayer. BE IN A STATE OF GRACE – Pray and receive the sacrament of reconciliation regularly. When choosing where and how to give service, give careful consideration to the Corporal Works of Mercy: Feed the Hungry, Give Drink to the Thirsty, Clothe the Naked, Shelter the Homeless, Visit the Sick, Visit the Imprisoned, Bury the Dead, and the Spiritual Works of Mercy: Instruct the Ignorant, Counsel the Doubtful; Admonish Sinners; Bear Wrongs Patiently; Forgive Offenses Willingly; Comfort the Afflicted; Pray for the Living and the Dead. Service journals are kept in our special service journal box in the back of the classroom, or at home. Students are responsible for logging their own hours. Journals will be checked in March. Try to divide the time between service devoted to our parish and to outreach not-for-profit organizations.